Capital Transportation Academy understands that you need to do some homework before selecting an institution to ensure you are receiving quality instruction. 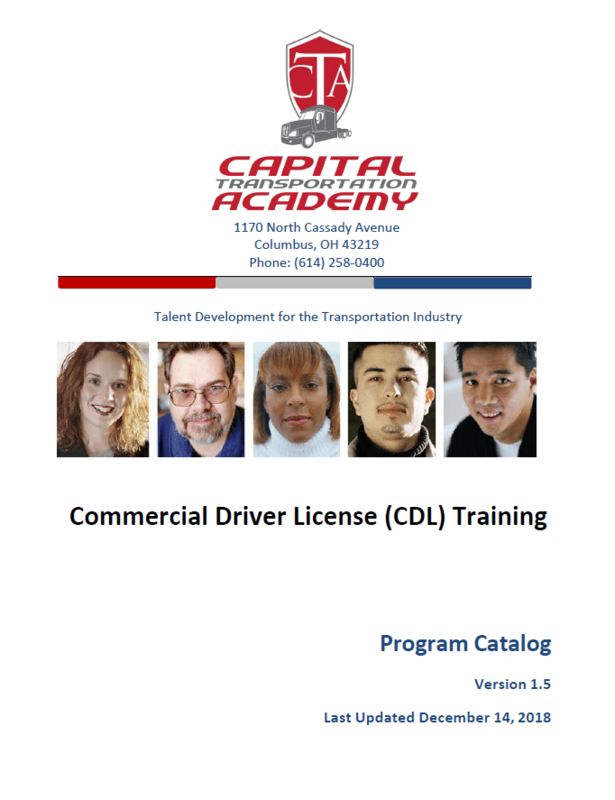 Our school catalog will provide an A-to-Z overview of Capital Transportation Academy. Click the image below to view, download or print catalog. contact us at 614-258-0400 or email us at academy@capital-trans.com.